Yes bhen ji i am glad to share ! 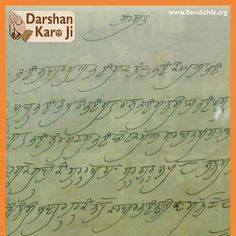 Gurbani is the answer to everything bhen ji you are right as its partakh guru. Dhan Sri Guru Tegh Bahadur Ji Maharaj, April 24. Absolutely! N thanks to our Gurbani that makes things clear for us.. Guru Sahib says that unclean is 'Not' the woman with periods it's that every person who is filled with an unclean mann- filth of paap. Gurbani has answers to everything in life. It's amazing!! you said it ! It is Waheguruji who has given that boon of progeny to the woman. Why would Waheguru want women to stop remembering Naam. Of what i heard that sounds logical, those days there were no sanitary pads. The level of hygiene was obviously not as good as now. Periods are accompanied with cramps and severe bleeding in many women thus giving a feeling of weakness and fatigue. The system of 'resting' during those days gave women a small vacation and other family members would take over. However, to make things understandable specially to men who at times would force women for their urges, the word 'sin/paap' has got attached. This word did act like a red signal, allowing women to rest. As time progressed this rule did act as a hindrance too. Yes darling that's wat I mean. .. And I really don't understand why sinful?? I mean is it something bad or wrong we are doing intentionally?? It's something natural.. If it's wrong then he's at fault he's committing sin not me. I have mentioned it before.. This is something that a woman should be proud of... As it makes her productive... BTW Simran is food for soul. Do we stop eating during periods?? Rather since we r physically not that active during these days, we can put in more time for Waheguru ji Haina?? Waheguru! Thanks sista! You mean to say tht In Sikhism.. You can continue your Simran Path in month days too? Is it not sinful? Hey Hi Congrats.. Being from a hindu family if you have decided to follow the path of ☝One God instead of 33 crore Devi/Devtas. U deserve a pat on the back.. Be thankful and consider urself blessed. It's a true kirpa. He has blessed u with his name... Being a girl I can understand ur position. Things become difficult for us more than men, specially in Indian society.. But u know it may be a blessing in disguise. Its just how we see it. If u r NOT complaining u r on the right track dear... Cos we as girls can accept things more subtly.. Accept astral concepts easily without arguing.. We can suppress ego easily.. Can Self surrender and ACCEPT HIM AS OUR 'PIR' - Lord/husband just naturally... Just find the purpose and keep on diving in his love.. More U will be drenched More u will grow ((rise in love)) And yes don't take any monthly breaks Yaa..
Dhan Sri Bhagat Dhanna Ji Maharaj, April 21. Waheguru bro... Actually i'm kinda in that area where is No Gurduwara And Guru Sangat... There are alot of Hindusuim rituals Sangat and much more But sorry to say there are ppl doing rituals like hypocrisy and Show off.. I am 25 years old u found so later that you want only Conection with God to have a peaceful life.. No material things no more relations and a high figh life.. Only accept and thank for what u have and what are you going through.. Life has a lot of lessons and circulers some are happy some are hard sad but all leads us to God.. So i found very clearance in Simran and nitnem things that there is no hypocrisy no show off... You only do for you peace and betterment with Lord.. I simply avoid this heavy kinda rituals and Samaaj " Publicity.. I just make peace by doing at home and keeping my self at all time home no more outing and all.. 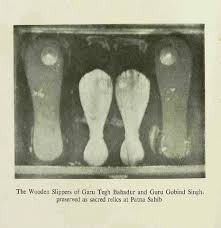 I wish to have Gurduara near me so i can Feel the blessing of Guru Sangat.. But my family is also of that all thinkings of all rituals and all.. So they dont support me more to go any where .. I am girl so i have a stricted family too.. But in short they just respect what i am doing from last year they dont say anything wrong atleast... Sometimes they expect that i dont do my nitnem in home busniess events or any other so i do not accept that.. I simply do my nem no matter what situation is! Because i found that the day i dont to Simran i am not having any inner peace.. I am frustrated at my self and all others... I feel like crying.. I just miss my Nem on monthly day in that i too beg for inner peace to get over it.. There are much more things like this But not complaining atleast Baba Nanak blessed me with all this ! Oh, okay. I do love some spicy food though. Bhai ji I experiment with diets and for the last long while I tried a lowish carb diet and it works well for me. It keeps me lean and toned. You should do juicing sometimes if you can. It's a really good way to get loads of nutrients in you. Mix them up, have some karela, an apple, a little ginger, celery, carrots, cucumber. Yeah!! Bhen ji its really good what you have mentioned. Its normal to feel the way you are feeling as its a hard long task of controling the mind thoughts but as you keep trying it will be ok alongside with ardas. You can add slowly jaap sahib and the rest of the panj bani nitnem step by step into your daily lifestyle. I feel unhappy as well when i miss my nitnem banis due to headaces migraines and its not a nice feeling so its best to do as much as you can. Here is a printed gutka i found in urdu avilable on ebay with aarti arta paath http://vi.raptor.ebaydesc.com/ws/eBayISAPI.dll?ViewItemDescV4&item=272727377932&category=366&pm=1&ds=0&t=1531777775000&ver=0&cspheader=1 Here are a few videos that should Here is aarti bani in roman english and its the language i have been using for other banis as i have not read this bani yet. 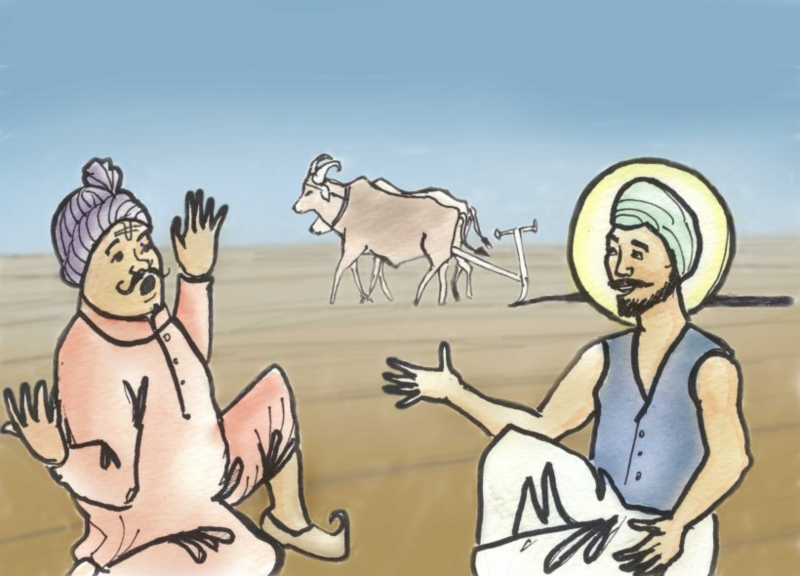 Dhan Guru Nanak Tuhi Nirankaar & Dhan Hazrat Yehua Ji Maharaj, April 19.